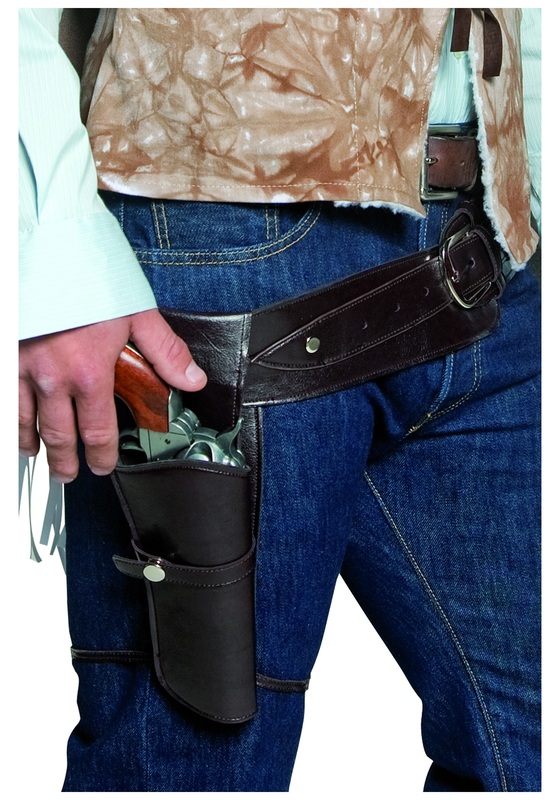 How silly do you think any cowboy would feel if he carried his gun around in his pocket? Or in a satchel? Pretty silly. It's just as bad when you head out dressed like an outlaw or cowboy and you don't have a holster yourself. Don't make the sheriffs and cowboys weep this Halloween, respect their ancestors. Dress the part. Go all the way. Get yourself a holster for that gun. Or, more accurately, git yourself a holster fer that gun, sonny. I assume that's how a cowboy would say it, with a toothpick hanging out of one side of his mouth.